I am not sure what I think about this. I could probably carry the YSL only because the fringe is so short. there is something a little too hippie-ish to it for me though. Sort of a throw back to the 70's. Do you remember the 70's? 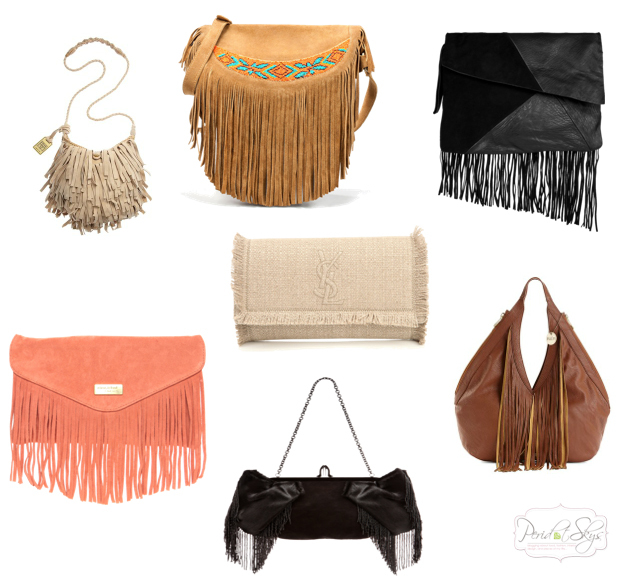 Bell bottom jeans, hip huggers, headbands, and fringe! Peace, love, and all! I totally dig fringe...especially on that orange clutch!